'Opposition are using the only levers of power they have at the moment, and I understand that; I’ve been there,' says Liberal MP Wayne Easter. 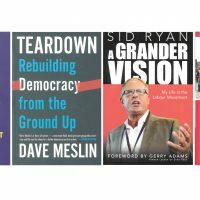 PARLIAMENT HILL—Frustration is mounting among government backbenchers over the stalemate over potential House rule changes, and the resulting inability of the government to advance its legislative agenda, says one longtime Liberal MP, who adds that it might be time for the government to rethink its approach. “A fairly good number of Liberals that are frustrated—[I’m] frustrated myself—with the fact that we’re not getting legislation through the House that we believe to be important and in a timely fashion,” Liberal MP Wayne Easter (Malpeque, P.E.I.) told The Hill Times last week. “The reality is there’s not enough getting done in the House. I’ve been a long-term member and I strongly believe that you have to have at least consensus from the main parties to change the rules of the House,” he said. For the last few weeks, the House’s scheduled business has been continuously interrupted or overrun by procedural moves initiated by the opposition parties, and lengthy debates on questions of privilege that have turned into debating the government’s proposed changes to the Standing Orders—the rules that govern MPs and the House. It has resulted in entire afternoon agendas being thrown out the window, including last Tuesday when Bill C-25 on the Liberals’ changes to corporate boards was not debated as scheduled because the House spent the afternoon debating the Speaker’s finding of a prima facie case of privilege as a result of the government’s move to end debate on a separate case of privilege regarding access to Parliament Hill having been blocked by a bus on budget day. MPs were still talking about it in the House on Thursday afternoon. As well, committee proceedings have been abbreviated by votes in the House on the motion “that a Member be now heard” when two members rise to speak and the one not recognized by the Speaker challenges his call and requests to have the floor. “I know there is some upset in my own party over the way things are at, at the moment, that the environment seems to be somewhat toxic. But opposition are using the only levers of power they have at the moment, and I understand that; I’ve been there,” Mr. Easter said. 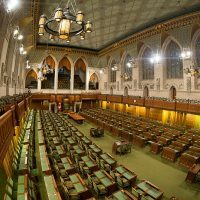 These Commons tactics spawn from the ongoing stalemate down the hall at the Procedure and House Affairs Committee (PROC), where the opposition is filibustering over the government’s attempt to expedite a study and report on the Standing Orders by the summer, without a preset condition of all-party support. 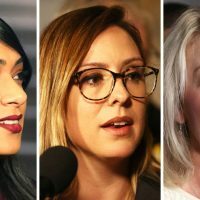 The filibuster has gone for three sitting weeks and is set to pick up again when MPs return from a two-week constituency break on Monday, May 1. So far, it’s filibustered for 80 hours over two weeks. The committee is set to meet again at 9 a.m. on Tuesday, May 2. 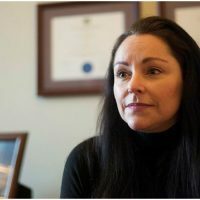 The motion to do the study came after a March 10 discussion paper from Government House Leader Bardish Chagger (Waterloo, Ont.) that proposed a number of reforms to “modernize” the House’s Standing Orders. “This is the House of Commons. It’s not the House of cabinet. It’s not the House of the PMO. It’s the House of Commons. It’s the people’s House, and the majority of the people in that House are not members of Cabinet,” Mr. Easter told The Hill Times. He said there’d be “no shame” in going back to the drawing board on how to put forward a proposal that would have broader support. “There’s other ways of doing it than the way it is at the moment. … I think it’s time to take a step back from all sides, and … go forward in a way that we meet our objectives we made during the campaign. 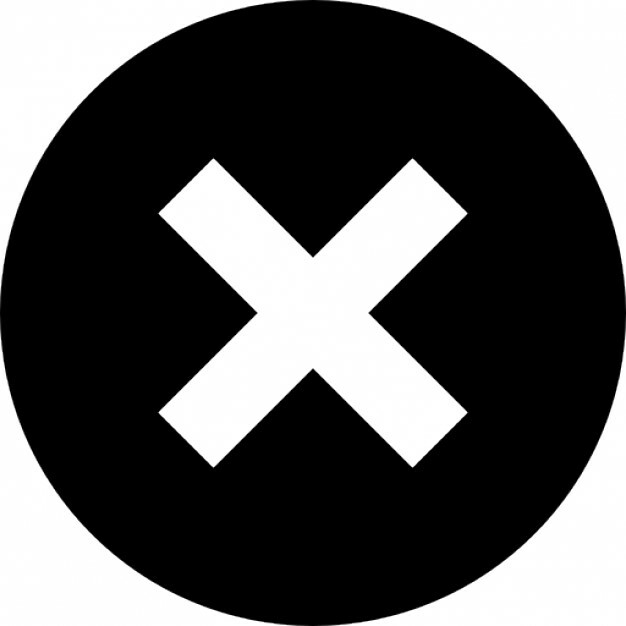 Most of [the proposed changes] are agreed to by the other parties, but we may end up having to leave something out. That’s possible. But do it in a way where we get back to a Parliament that works,” he said. 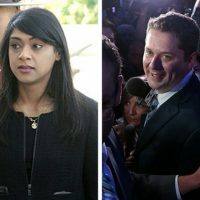 Both opposition House leaders told The Hill Times they’d been hearing “more and more” from backbench Liberals expressing concern with the proposals and how the government’s been handling it, and acknowledging that the opposition has a point in fighting for these rights. Negotiations between the House leaders to reach a point of resolution have so far been unsuccessful, with both sides saying the other isn’t giving them much to work with. 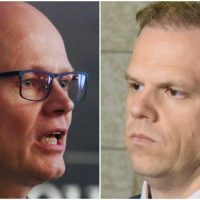 The joint pitch from the Conservatives and NDP to set up a separate committee do deal with the House rule changes was met with no response, Mr. Rankin said. Conservative Deputy House Leader Chris Warkentin (Grande Prairie-Mackenzie, Alta.) told The Hill Times his caucus is committed to keep up its tactics and do “whatever is necessary to encourage this government to backtrack” when the House resumes. “We’re going to do everything in our power to maintain what is an essential part of any democratic institution, which is the ability to hold government to account,” he said. Opposition MPs say if the government wants to get its agenda moving, it needs to pull the Standing Orders discussion paper off the table for the time being. 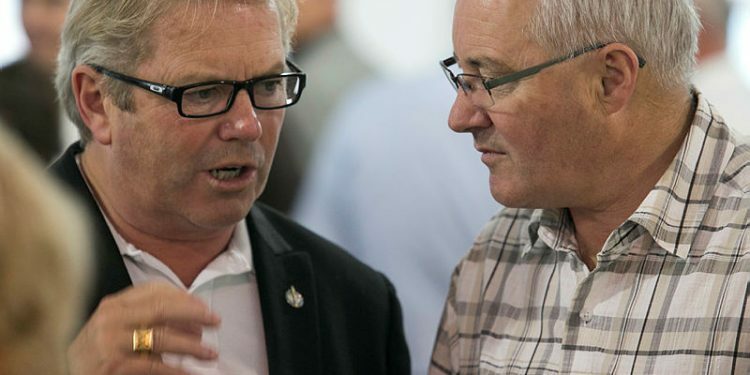 “Quite frankly, what they should do, if they want to work effectively to get legislation passed, is to withdraw the heavy-handed assault on the institution and withdraw the paper at PROC and adopt the motion that they’ll work in consensus on Standing Orders, and I think … they’ll earn some goodwill amongst opposition parties,” Mr. Warkentin said. 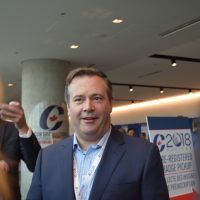 As of deadline, and the government has 23 pieces of government legislation before it, or on the Notice Paper, to be tabled in the House of Commons, and another nine government bills before the Senate. So far in this Parliament, the government has passed 18 laws. Just two of those 18 bills passed in 2017, and both were financial appropriation measures that don’t require the same journey through both chambers before being granted royal assent. To date, the government has introduced 50 pieces of legislation. The House has seven scheduled sitting weeks left before rising for the summer on Friday, June 23. The last two weeks of the sitting have been set with possible extended sitting hours to get priority bills passed. In past Parliaments, it’s become common for the government to negotiate with the opposition parties to rise early for MPs to attend graduations and other events in their ridings, in exchange for a package of bills getting fast-tracked through the Commons, or other agreements. It’s unclear whether the same could happen this year. While she welcomes working with all parties to achieve that, she said she won’t let the opposition, namely the Conservatives, stand in the way of platform commitments. 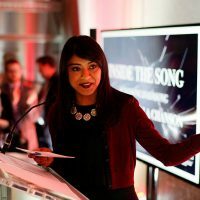 “Our objective has always been to ensure that Parliament is relevant to Canadians and that the House become accountable, predictable, and transparent,” Ms. Chagger said. 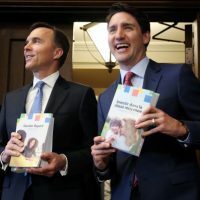 On April 11, the government tabled its 2017 budget implementation bill, and coming in more than 300 pages, the opposition called it an “omnibus bill’ and said it was another example of the Liberals breaking promises. 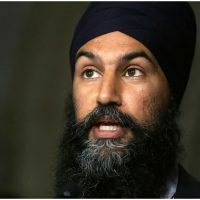 In its election platform, the Liberals committed to “not resort to legislative tricks to avoid scrutiny,” by changing the Standing Orders to prevent proper review and MPs having to vote on a package of various measures in omnibus bills. 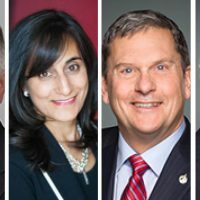 Allowing the Speaker of the House to divide mammoth bills for study at various committees, and voted on separately, but moved through as a whole, is among the proposed changes in Ms. Chagger’s discussion paper. The opposition saw it differently. “It’s another example of complete hypocrisy. Obviously, this is something that was in black and white in the Liberal platform,” said Mr. Warkentin. 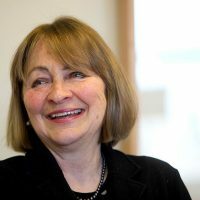 Among the provisions tucked into the hundreds of pages of this bill are legislative measures to put in place aspects of Budget 2017, including a number of tax changes, as well as just under two-dozen other “various measures” including: enacting the Canada Infrastructure Bank as a Crown corporation; amending the Proceeds of Crime (Money Laundering) and Terrorist Financing Act, to add the Department of National Defence and the Canadian Armed Forces to the list of disclosure recipients, among other things; and amending the Shared Services Canada Act to allow the minister responsible to delegate powers to “an appropriate minister” as needed, and allow departments to procure IT services in “exceptional circumstances” from providers outside of Shared Services, despite a key objective of the enterprise-wide initiative having been to have all government IT centralized. 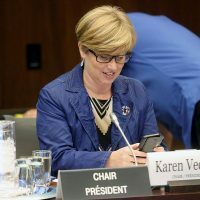 As well, it includes the Liberals’ commitment to opening up the Board of Internal Economy meetings to be public by default, with the exception of meetings dealing with employment issues, security, and tenders. Currently, the committee meets in camera to deal with administrative and financial matters of the House of Commons. If the committee wants to hold a closed meeting under the new rules, it’ll need unanimous consent from all board members. 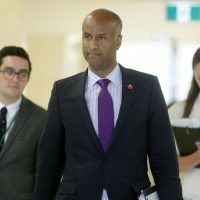 The government claims one of the key changes in this bill provides “greater independence for the Parliamentary Budget Officer,” though current PBO Jean-Denis Fréchette and former PBO Kevin Page have publicly criticized it. 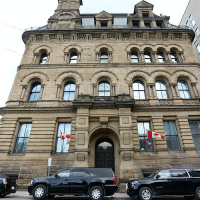 The changes in Bill C-44 would establish the PBO as a separate Officer of Parliament, appointed on a seven-year term, with its own office and not managed under the Library of Parliament. The PBO would now also be able to cost out election platform proposals during campaign periods. The aspect Mr. Fréchette and Mr. Page have taken issue with is the change in potential workload to be greater, and which they say could result less time spent costing government plans, as well as now having to seek approval for its “work plan” from the House and Senate speakers before proceeding.